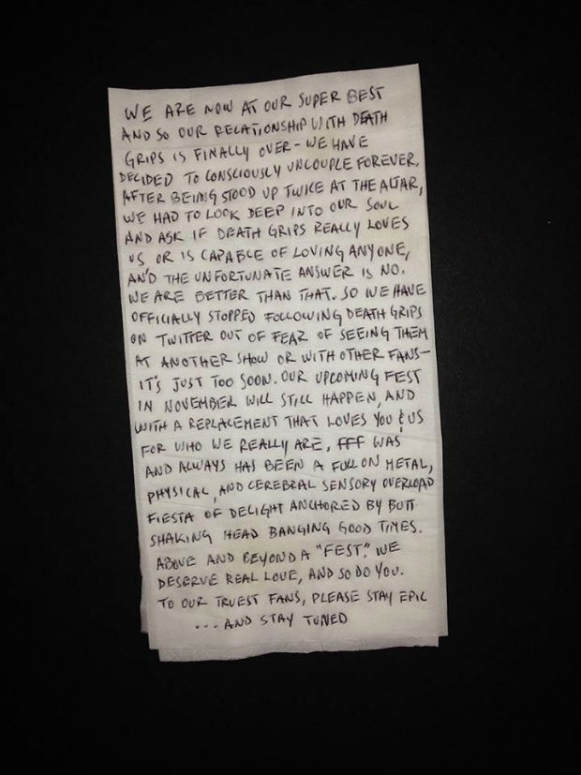 Many were shocked when Death Grips announced their break-up yesterday. Trent Reznor, it seems, was not. The mercurial noise-rap group, who was SPIN’s 2012 Artist of the Year, were set to be opener on Nine Inch Nails and Soundgarden’s upcoming tour, which kicks off in just over two weeks. Given Death Grips’ expertise in bailing on commitments, booking them for the trek was a calculated, one that Reznor somewhat acknowledged in a subtweet last night. “Sorry everyone… why would I have ever thought those dudes could keep it together?” he wrote, sounding like a man who was all set to chill out for the Fourth of July weekend but then found out he had to go to the DMV to renew his license. A replacement opener has yet to be announced. You win, Fun Fun Fun.